There are many browns, some are evocative of the earth and nature, some speak of chocolate and cakes. Current knitting project is a quick, big, warm cardigan for my daughter - Bendigo Woollen Mills 12ply Classic in a sweet tan colour they call "Ginger". When it arrived it reminded me of those South American Alpaca / Llama jumpers worn by all cold uni students and hippies in the 1970s - yes, you know the ones! They usually had a row of alpacas / llamas marching around the chest or hem and they are vaguely trendy again. So, I grabbed another ball of the 12 ply in almost white and consulted daughter about what sort of critter? Answer: rabbits. That's the back - this chap is on a sleeve. 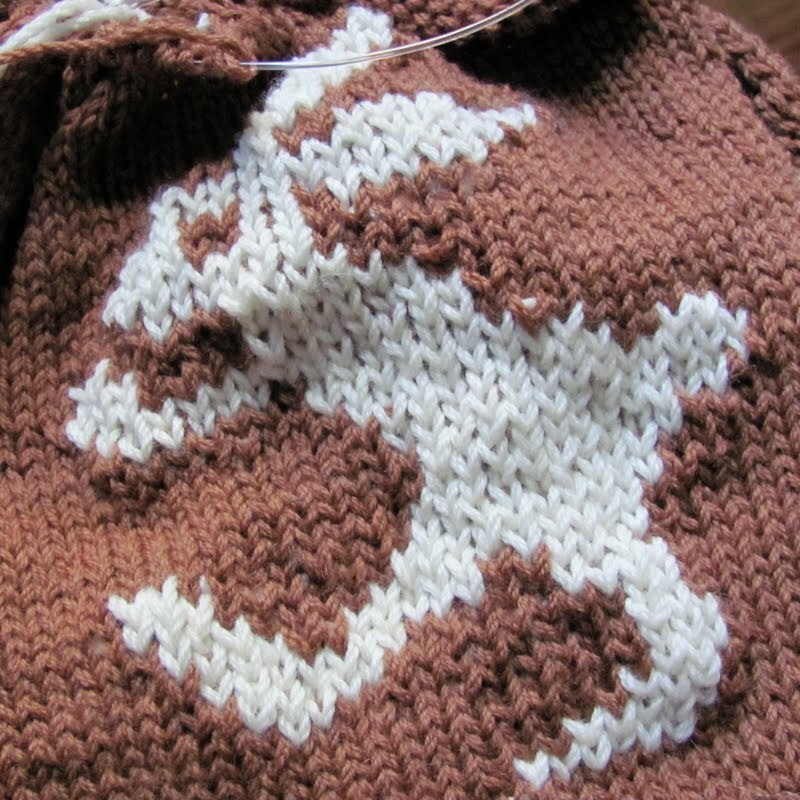 Picture knitting / intarsia is my least favourite style of knitting, I just can't get the stitches to stay neat, they always get twisted about and there is always show-through of the un-used yarn. 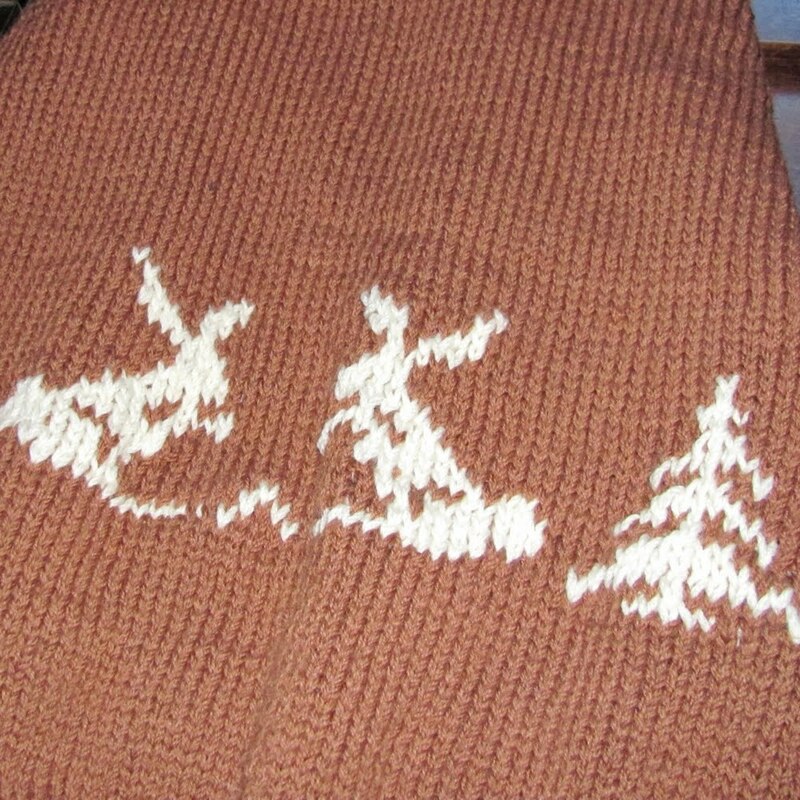 However, with a bit of blocking and some over embroidery I'm sure these bunnies will look OK.
Have also been spinning - and whereas that knitting is definitely in edible brown, this is brown a la nature. 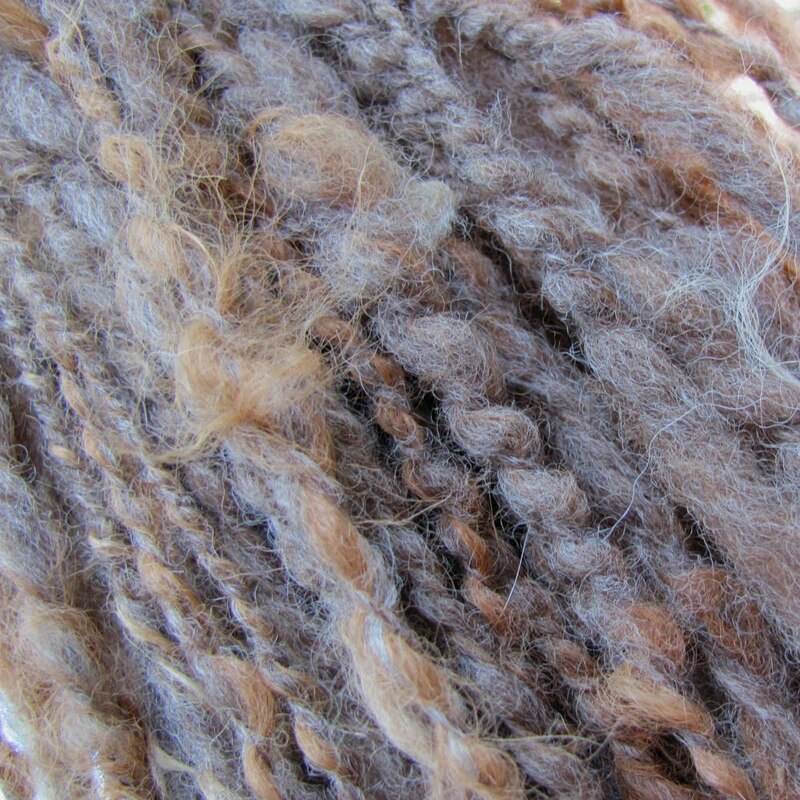 Naturally soft brown coloured, corridale fleece spun with about 12% alpaca, also natural and undyed. The alpaca is mostly a light tan colour but there are cream bits too, the alpaca had patches or a pale chest? I spin this deliberately thick&thin with the alpaca thrown in as tufts - then it is plyed with the corridale done plain and quite thin. 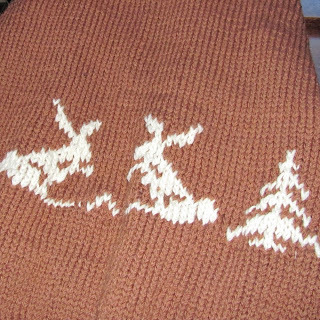 The result looks just like wood or bark, and it knits up like that too; really natural. Not Brown. 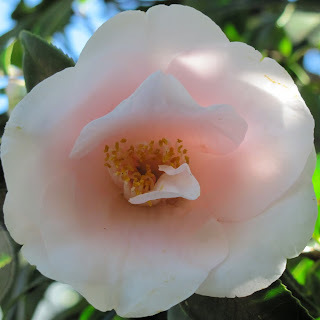 Just can't resist sharing this with you - the sunlight was shining through the petals. We've 2 of these camellias, darling hubby rescued them 10yrs ago, they were very nearly dead when he brought them home - poor thin twigs in dried up pots. Well it has taken 10 yrs but they are glorious now.